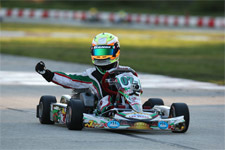 Getting his start at karting at the Oakland Valley Raceway Park (OVRP) under the tutelage of Tim Hannen in his home state of New York, Tavella can now add his name to the list of national champions who have come from the facility. 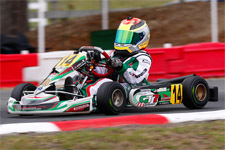 Learning his race craft and fine-tuning his skills at this premier facility, the Tony Kart pilot was able to put it all on the line this past week in his efforts to become a national champion. Taking to the 7/10-mile facility early in the week for unofficial event practice, Tavella would work with his tuner Charlie Swayne to get up to speed for the start of official on track activity. 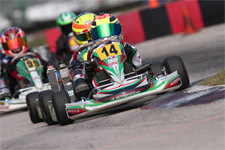 Starting off his campaign with qualifying on Thursday, the Massapequa, New York resident found himself second out of 29 drivers, and only a mere 0.090 seconds off the pole time. With a front row starting spot secured for the three heat races to ensue, Tavella was in prime position for the wheel-to-wheel action. 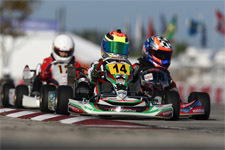 Running in a four-kart train for the first heat on Thursday, Tavella wound up third after the eight lap race. Back on track Friday for the final two heat races, the young talent duked it out for the win in heat two and was the fastest kart on track. Falling back to third after contact by a fellow competitor in the final corner pushed him wide, Tavella eventually was scored in second after a penalty was assessed. Again battling for the win in the racy Micro Max heat three, Tavella was able to score the win and put himself on pole for the all-important prefinal. Coming into Championship Saturday, Tavella would need a good run to keep his title hopes alive. 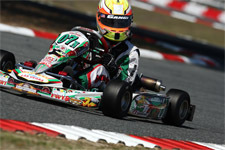 Starting the prefinal on the front row, Tavella steered his Tony Kart to the win, with the race coming down to the wire as the lead duo crossed the stripe side by side. The final again saw an all-out war, as Tavella and his closest rival quickly pulled a gap on the rest of the pack. Swapping for position lap after lap, the two went side by side through the final corner of the last lap, with Tavella crossing second this time. 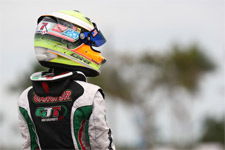 With a vice-championship title secured, Tavella was promoted to champion post-race after a disqualification excluded the race winner from the results. 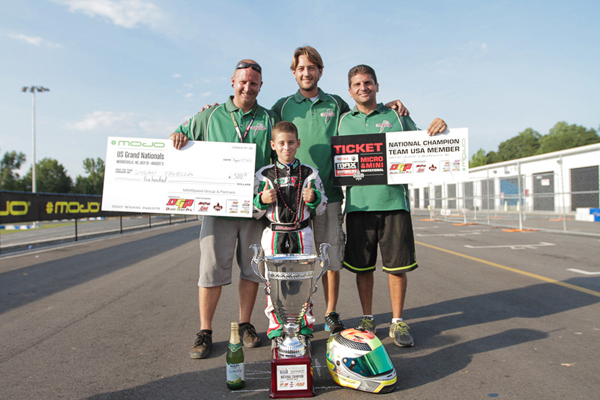 Standing on the top step of the podium as the 2013 US Rotax Micro Mac Grand National Champion, Tavella also earned a trip to New Orleans this November to compete in the Micro & Mini Invitational during the Rotax Max Challenge Grand Finals. Dylan would like to extend an extra-special thank you to his tuner and driver coach Charlie Swayne, not only for the hard work put forth at the track, but also for the countless hours that go into kart preparation behind the scenes; this win would not have been possible without him! Dylan would also like to thank OVRP and Tim Hannen, Derek from Zero Error for the best axles, Holeshot Drive Systems for the chains and sprockets, Disco Dan from Sargeant Motorsports and Daniel Moffet for all the data work, as well as Anthony Gangi and family, the Max Speed Group, and finally his mom and dad for all their help and support.